As Saudi Arabia returns to its normal pace of life following the exit of millions of pilgrims from across the globe who descended on the Kingdom to perform Hajj, one Saudi Arabian man is still looking at ways to improve the holy pilgrimage for decades to come. Hamad Al-Yami has created the ihram of the future: a bacteria-killing cloth developed using nanotech that will have a positive impact on the health and safety of future pilgrims. Ihram clothing are garments worn by Muslim men and women during the Ihram pilgrimage (Hajj) and or Umrah. For men, the iconic outfit consists of two white un-hemmed sheets, simple and plain, purposely so in order to avoid attracting attention and to be universal in appearance. According to Arab News, Al-Yami’s ihram uses nanotechnology similar to what has been previously used on carpets in the Grand Mosque in Mecca. The anti-microbial agent makes it harder for bacteria to grow and this is the same approach the 35-year-old entrepreneur has used to create his ihram. Al-Yami explained to the news site that he initially approached a Dubai-based German fashion designer to help him make his material a reality. With design in hand, he headed to Pakistan to produce the ihram to the quality he wanted and at a feasible cost. From there, Al-Yami returned to Saudi Arabia and approached the governor of Mecca, Prince Khaled Al-Faisal, who was intrigued by the concept and sent it to a research institute in the holy city. After confirming the idea was a viable one, the governor directed the city’s chamber of commerce and ministry of commerce to help Al-Yami with his project. 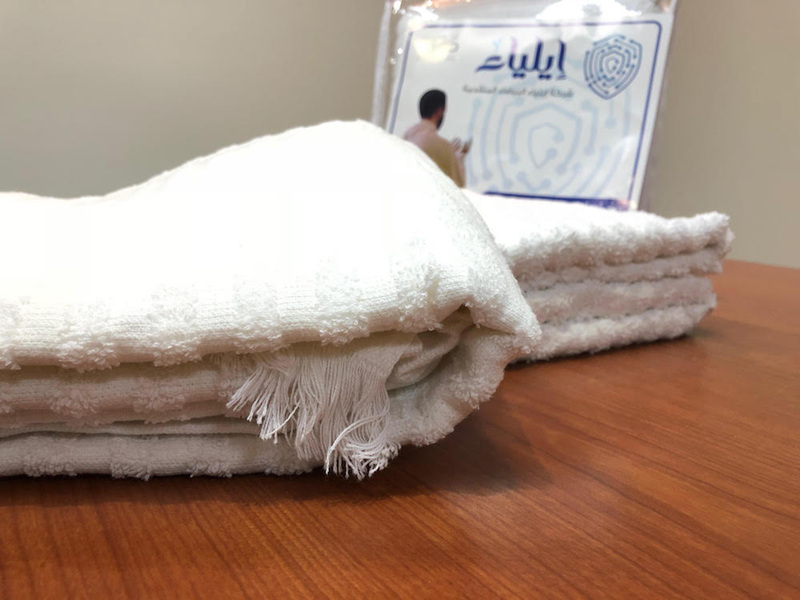 As millions of people of every demographic – the young, the elderly, men, women, and children – head to Saudi Arabia every year to perform Hajj and Umrah, creating an anti-bacterial ihram will indeed have huge implications in the future for visitors and for local authorities tasked with the safety and security of pilgrims. For Al-Yami, however, the larger bigger goal of his project has always been a religious one. “I am doing this to earn good deeds […] I want to do something that I am proud of during my life, and after death […] I also want to be part of the efforts of my country in helping the pilgrims,” he explained.